Additional controller for the DCC02 Prodigy Starter Package. This unit comes complete with Back-lit handset and cable which plugs straight into the base unit. This unit features a clear and bright blue backlit display, ideal for users operating a railway in less than ideal lighting conditions. Stuck where to put your DCC Controller? 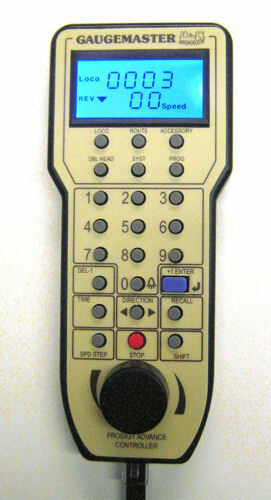 you can now attach it to your layout using theDCC66 Prodigy Controller Caddy. This unit has been designed to screw directly to your baseboard and will fit most DCC Controllers and even mobile phones.